Where is NEST in your auto enrolment plan? I am not authorised to give financial advice and I wouldn’t dream of it. But from a practical point of view, NEST has some advantages for the smallest employers. Firstly, it will cater even for those with one staff member. If you have five staff only three might be eligible and two may opt out. Will your provider still be there when your scheme is for a single individual? Secondly, it is a relatively low risk choice. We are talking about the financial futures of your staff, here. The financial services industry has not covered itself in glory recently. 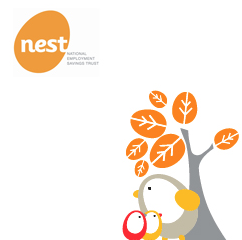 As the government is most clearly backing NEST, it might be the safest choice. Thirdly, for a one scheme solution, its likely to be the easiest and cheapest choice. As soon as you start considering other schemes you should arguably compare them, but small business owners may struggle to find the time expertise for that. If you don’t already have a trusted financial adviser, it might be too late to find one, and good financial advice, like most good advice, does not come cheap. We have been working with NEST for a while and whilst it works well, it is not entirely straightforward. We suggest contacting your payroll provider or accountant and checking they are confident of being able to help guide you through. For more help on getting started, see our previous blog 5 top tips for auto enrolment or contact us to discuss how we might help you.